The San Diego Museum of Art is the opening venue for a comprehensive, internationally touring exhibition of works by the important Mexican artist José Clemente Orozco, the first major exhibition in the United States of Orozco in more than forty years. Opening March 9, 2002, José Clemente Orozco in the United States, 1927-1934 explores the extensive body of work Orozco produced during an extended stay in the United States. The exhibition is organized by the Hood Museum of Art at Dartmouth College, Hanover, New Hampshire, in collaboration with the Museo de Arte Alvar y Carmen T. Carrillo Gil, Mexico City; the two other venues on the tour’s schedule. Featuring more than 120 paintings, prints, drawings, watercolors, and preparatory studies for murals, all showcasing Orozco’s revolutionary artistic vision, it is the first major exhibition to focus on his time in the United States. After its presentation at the San Diego Museum of Art (March 9 to May 19, 2002), José Clemente Orozco in the United States travels to the Hood Museum of Art, Hanover, New Hampshire (June 8 to December 15, 2002) and the Museo de Arte Carrillo Gil, Mexico City (January 25 to April 13, 2003). "The Museum is delighted to be able to present such a significant exhibition of works by Orozco who, along with Diego Rivera, Frida Kahlo, and David Alfaro Siqueiros, is counted among the most important Mexican artists of the twentieth century. With San Diego’s proximity to the border, this exhibition is the perfect opportunity to build upon the Mexican-American cultural exchange Orozco and his contemporaries established some seventy-five years ago," says the San Diego Museum of Art’s executive director, Don Bacigalupi. The development of this exhibition has brought together Mexican, British, and American scholars who have made a special study of twentieth-century Mexican art and of the artistic and cultural relations between the two nations. The result is a comprehensive survey of José Clemente Orozco’s work of this period, never before assembled in a single exhibition. 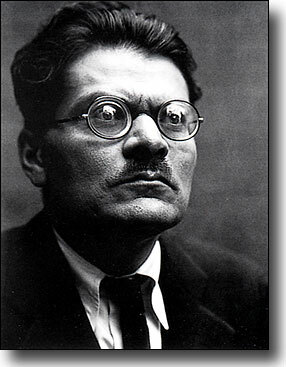 José Clemente Orozco in the United States, 1927-1934 explores the transformations in Orozco’s subjects, style, and working methods, and the charged cultural climate in which he created such a diverse body of work. The exhibition also chronicles his experiences as a cultural émigré and his attempts to negotiate the complex network of art patronage in the United States. It is curated by Renato González Mello, professor and researcher at the Universidad Nacional Autónoma de México and former curator at the Museo de Arte Carrillo Gil, and Diane Miliotes, research curator at the Hood Museum of Art.